What access to your server do you have? How often Cron job must be executed? Open settings of cron jobs in your control panel. Before setting up a new cron job, check that it has not been set up yet. If you have installed cronjob, but still have problems with cron or not sure if cron is running, try to install a free extension AOE Scheduler. This extension can show you the status of cron and cron tasks including a timeline view. Windows has a Scheduled Tasks service which is accessible from the Control Panel. 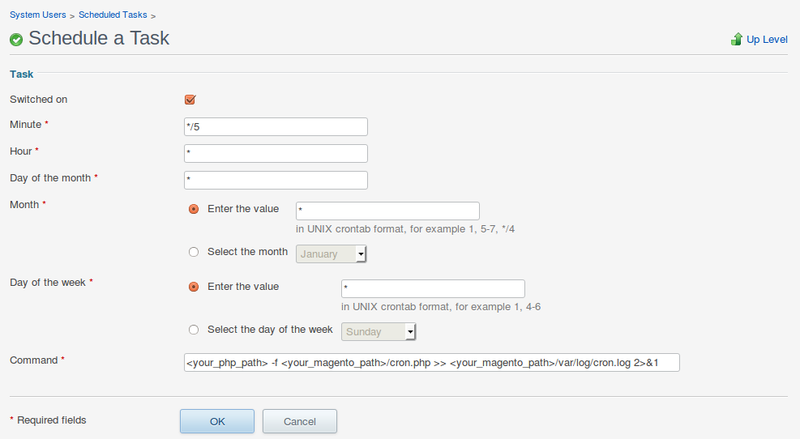 If you do not have access to crontab on your service, you can set up the page that needs to be run periodically as a Home Page in you personal computer browser: <your_domain>/cron.php. Every time you open this page, it will execute the scheduled task(s) on your server. You could also set up a Scheduled Task on a computer to which you have access and which is usually running. It could then access a web accessible page that will run a cron job. In UNIX/BSD/Linux it can be done with wget or curl utilities. Lastly, if either of these won’t work for you, there are a number of online cron services (complete list: http://onlinecronservices.com, http://onlinecronjobs.com) that may be useful. Many are free, but have restrictions on execution frequency or job count.